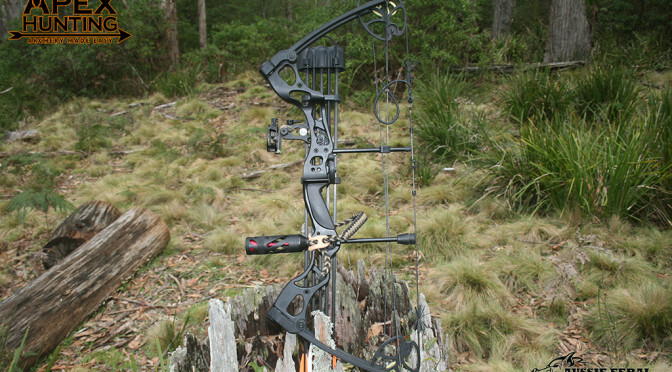 Bowhunting is a classic game of cat and mouse that a lot more rifle hunters are getting back into these days to add a bit more spice to stalking their game of choice. 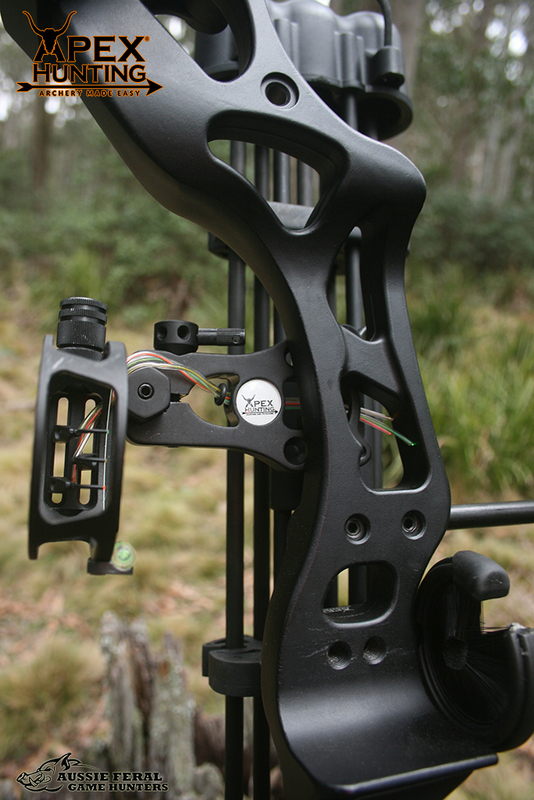 Having said that entering into the bow hunting world can be a very expensive trip to take, and this is where Apex Hunting are assisting bow hunters from novice to seasoned archers to achieve a setup that suits them both in quality and price. 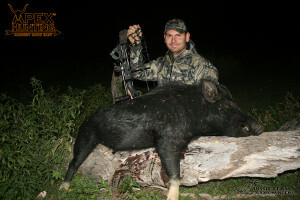 70lb and with a quick limb adjustment I left this set as our target species for the trip was goat/pig. 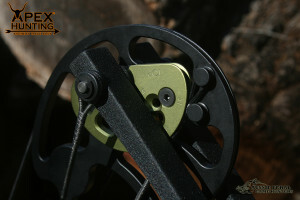 My personal draw length is 31” and again it was a very simple allen key adjustment to make to move it from the shop set 29” and will go as low as 25” and a 7” brace height. The supplied Apex Optics feature a 5-Pin fibre optic sight with LED light which was very vibrant and worked extremely well under low light shooting. For this test I removed 2 pins to suit my setup preferences, after a few weeks on the bags and satisfied with groups it was time to head out for a hunt. After hours of tracking active game trails and known pig wallows I retired to prepare my hillside camp, watch the sun go down and plan my morning hunt. With the temperature rapidly dropping and wind chill picking up I decided to slip into the furnace layers to repel the blood freezing chill and collect some more timber for the fire when I spotted an distinct black mass moving across the valley opposite my camp towards a nearby water hole on a trail I had walked that morning, not being one to pass up an opportunity when presented and keen to blood the new Apex Evolve bow I had been testing for the past few weeks I proceeded to move in for a closer look. I was losing light and knew I had to make the rocky edge near the trail before the mob did and setup an effective point to take a shot as the wind and sinking sunlight would be in my favour, luckily the mob had slowed to root up foliage at the base of a nearby tree giving me time to move into position on the rocks and allowing the Veil camouflage system to blend my outline into the rocky backdrop. 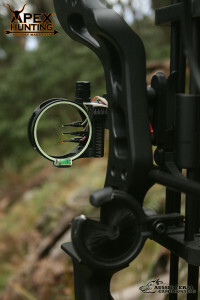 To my disappointment the mob started to feed back towards where they had come from and knowing my effective range with the new bow I began to put together a plan B to move in on the mob but no sooner as I unrested the arrow the Boar presented himself on the trail moving swiftly towards my location. 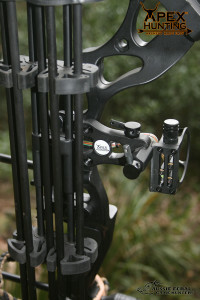 He was a good sized boar so I decided to hold my position and let him come to me stopping to feed at the nearby fallen tree roughly 15m away, with my heart pounding I illuminated the optic sight and rested my arrow..
With the bow at full draw I exhaled releasing the 140gr Apex Sabretooth striking the boars front left quarter exiting two inches behind the right front leg, he swung his head straight up in the air then stumbled a few meters forward into the fallen branches. After gathering myself I raced back to camp to get the bigger camera off charge for a quick photo, He was a solid hog and appeared to be a bit of a fighter with both bottom hooks broken and a few battle scars on his chest. Final thoughts, while I found the physical weight of the bow a bit daunting it still performed well. 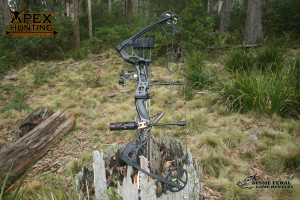 A great setup for someone looking at trying archery but having a tight budget to work with it’s a great option. 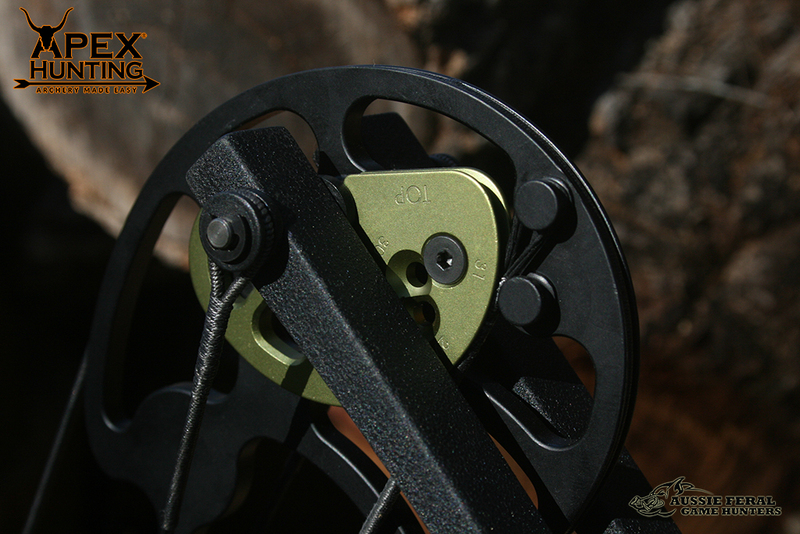 Apex Hunting is more than happy to assist with customer service and advice. 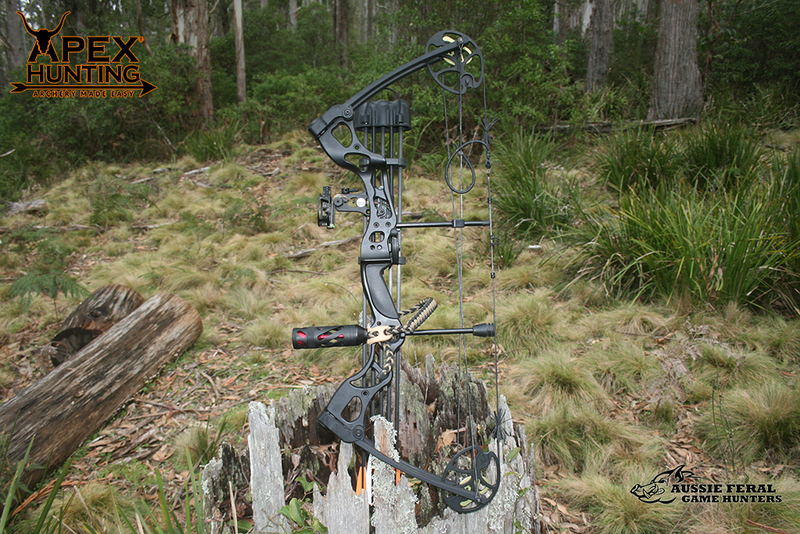 Apex also stock brands such as Bowtech, PSE, Obsession and Diamond to cater for those more advanced.